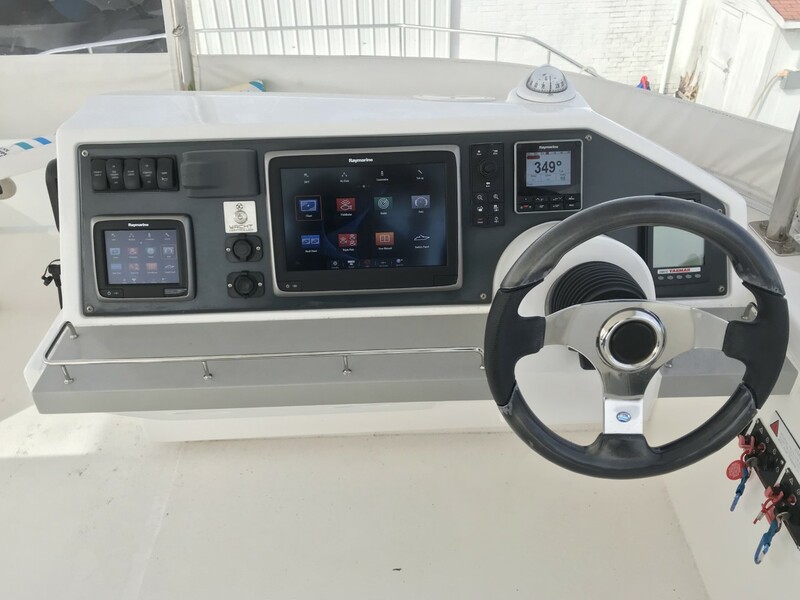 This is an opportunity to own an almost new Leopard 43 PC for a fraction of the price of new. 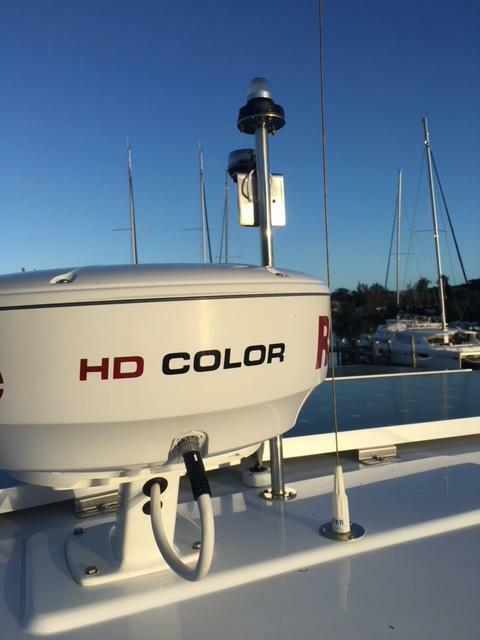 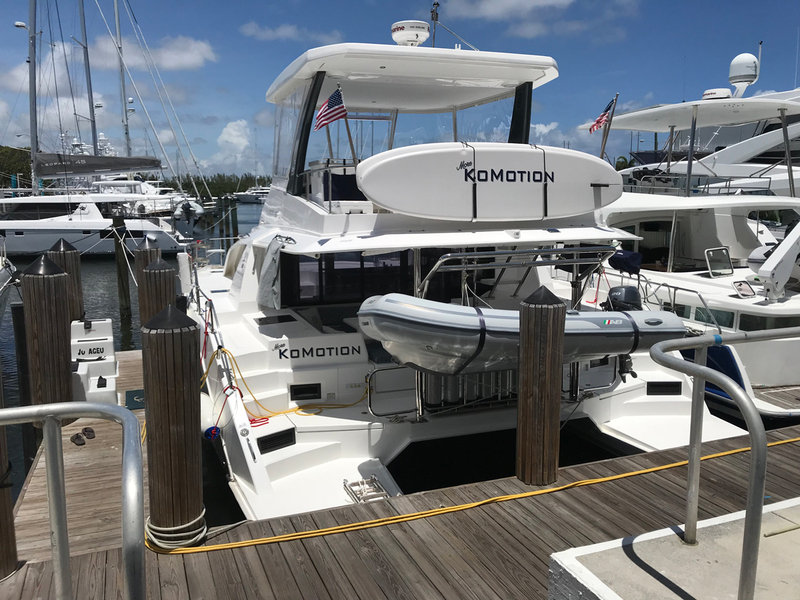 She is fully outfitted for extended cruising and maximum fun. 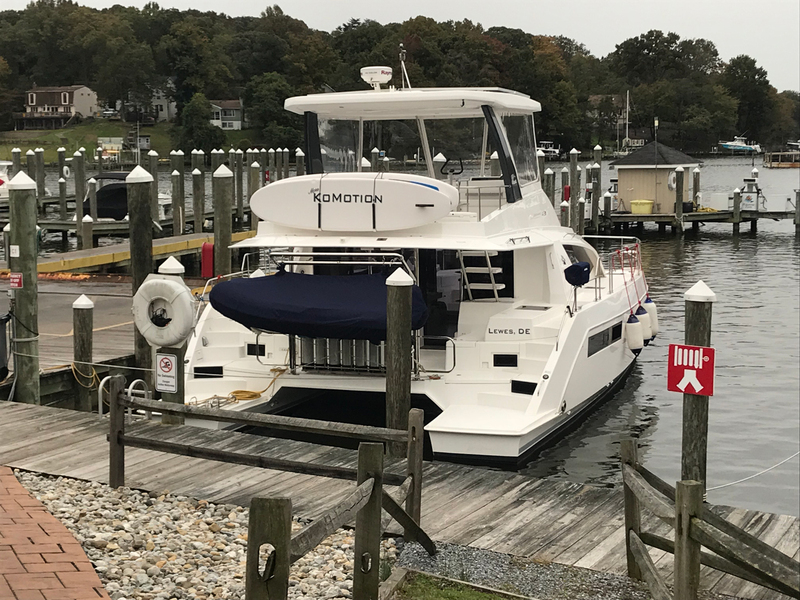 There were no details left unattended in the creation of the new Leopard 43 Powercat, including the hull design, the updated interior, and over $30,000 in upgrades from Just Catamarans and much more. 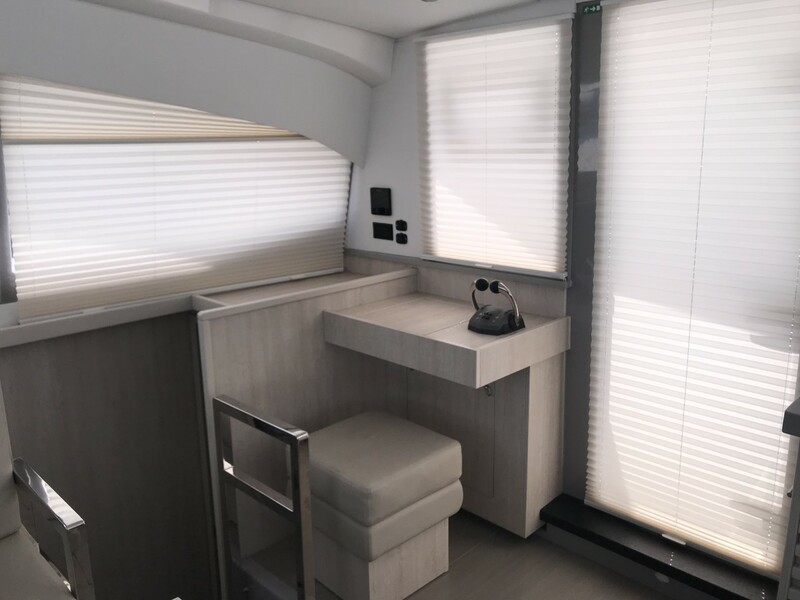 The L43 PC is the product of close collaboration between the Robertson and Caine Design Team, who were responsible for the interior and exterior design, and Naval Architects Simonis Voogd, who were in turn responsible for the structural design, hull lines, and performance. 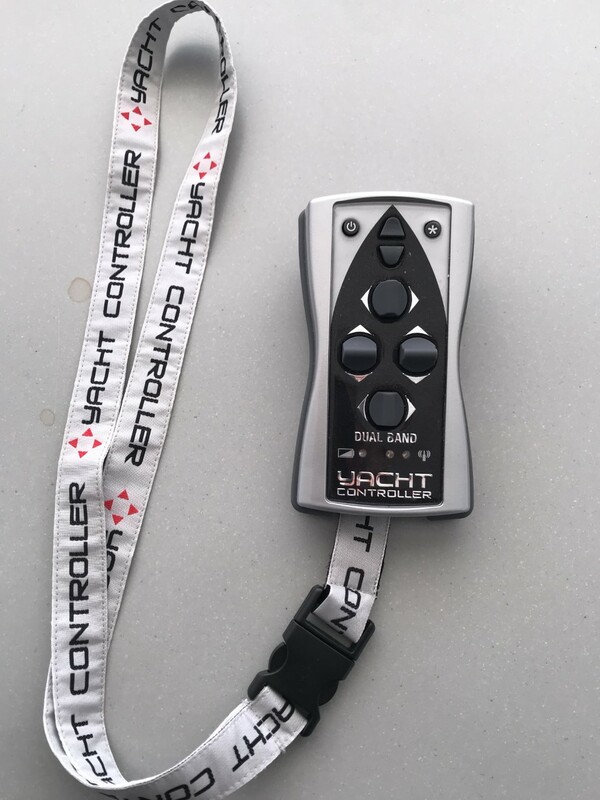 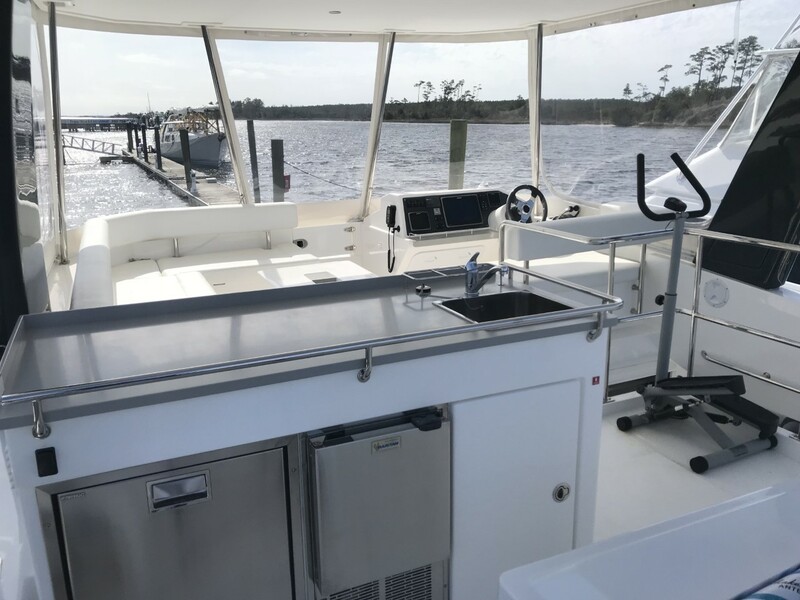 The Leopard 43 PC is a completely redesigned mid-sized catamaran built with the quality foundation that has come to be expected of Leopard Catamarans. 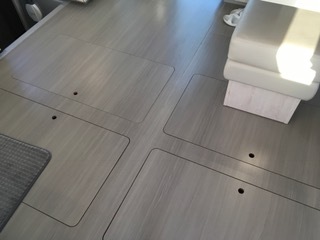 The stepped hull design adds interior volume above the waterline, allowing for roomier accommodations in the hulls without sacrificing the performance of the yacht. 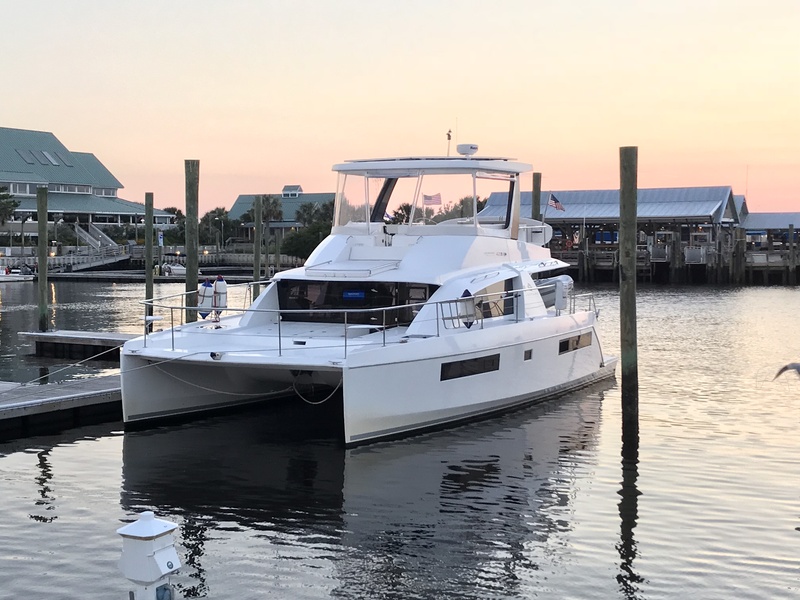 With narrower hulls and less wetted surface below the waterline, the Leopard 43 PC reaches a maximum speed of 22 knots and maintains exceptional fuel efficiency consistent with all Leopard power catamaran models. 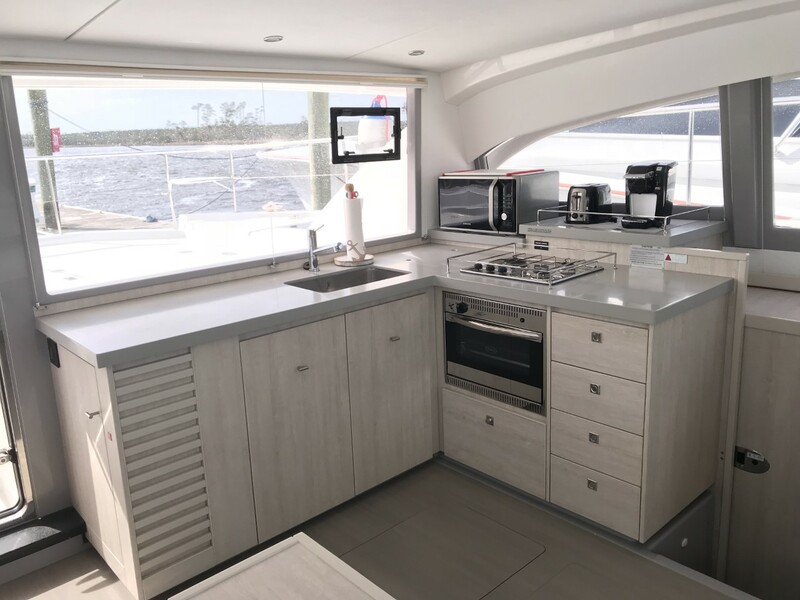 The Leopard 43 PC features a large flybridge which includes extra storage lockers, an ice maker, wet bar and fridge with direct access to the sunbathing platform found forward. 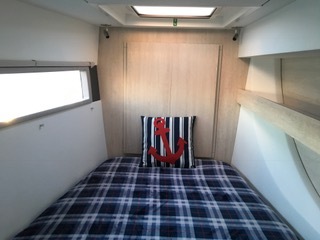 Inside, the galley of this power cat is located forward and the forward-facing settee and table are now located aft. 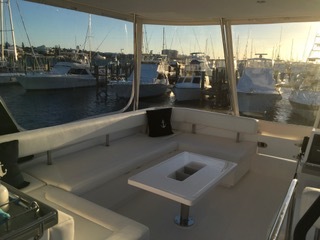 This layout, with sliding glass doors between the settee and aft cockpit seating area, plus a large window forward and access door to the bow, allow for nearly 360-degree panoramic views and create a feeling of continuous indoor-outdoor living space. 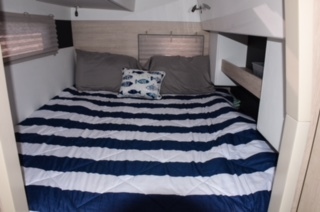 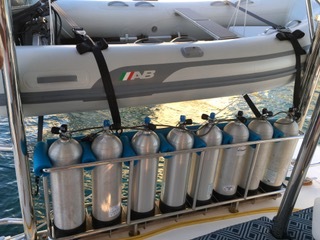 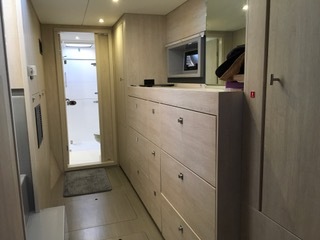 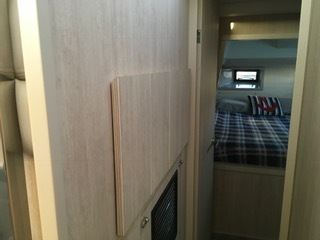 She has many extra storage lockers that were custom made by Just Catamarans. 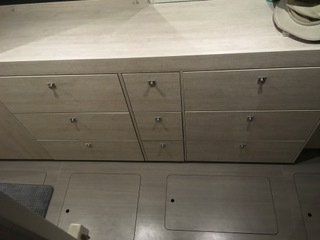 • Custom cabinets and built-in storage lockers, hidden safe.